Succulents are so versatile and adaptable even novice gardeners can succeed with them. But, to have plants that look great and don’t embarrass you, there are a few things you need to know. First off, think of where these plants originate. In most cases, with a few exceptions, their native habitat is bright, warm, and dry. They don’t thrive in rain forest conditions which are too wet, with low light levels. Suppliers know that smaller varieties do better in challenging conditions. These are the easiest to grow, and also to find in garden centers, florists, and mail order. Succulent plants need bright light. Sunlight, bright diffused light, or some kind of grow light will give them the levels they must have to grow. If you want to move them from less light to more, It’s important to allow them to acclimatize. A sudden change can give them sunburn. 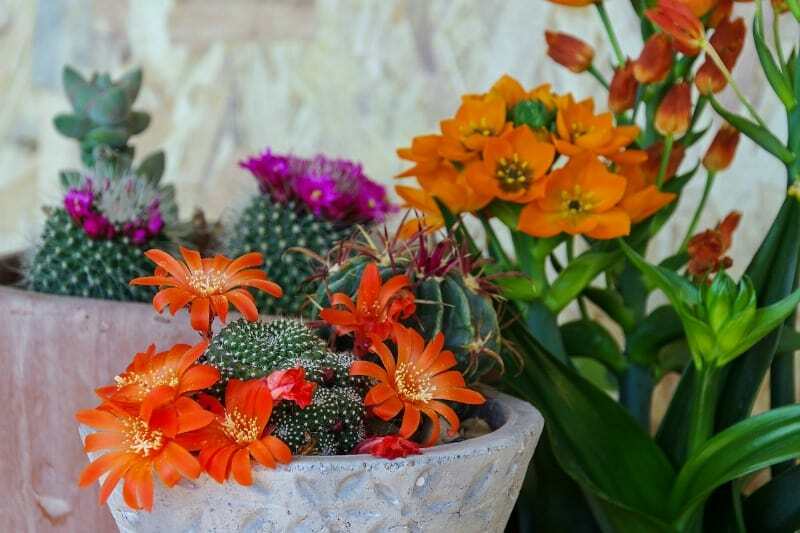 With some succulents, you can trigger flowering in the winter, adding to their appeal. Usually, this is dependent on the length of daylight (or a substitute type of light). This prods them into blooming, even out of season. The lack of light is one of the most common problems I get asked about. The telltale sign of a lack of light in succulents is a plant that ‘etiolates’ or stretches upwards. Sometimes, it’s too late to fix this, even by giving it more light. The damage has already happened. The only solution is to propagate it, and promise to do better next time. 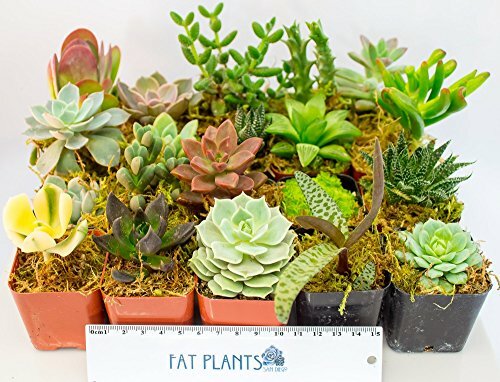 The most common types of indoor succulents are smaller in size, as they need to be only a few inches below a fluorescent tube to grow. Taller types won’t get the light they need on the lower leaves. 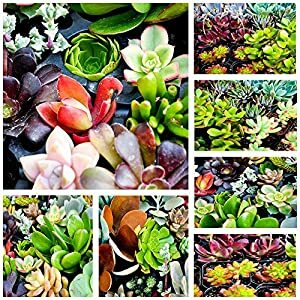 10 Assorted Succulent Cuttings ~ No 2 Cuttings Alike Many common succulents evolved in warm climates, even deserts. Generally, they’re not frost hardy. But, this type of succulent make great indoor houseplants. Even if they spend the summer outside, you can bring them indoors for the winter. They brighten a windowsill, and grow well under lights. Also, they may need a dry dormant period. Once you start to water them again, they form buds, ready to thrill you with the flowering cycle. Luckily, succulents root easily from cuttings. You can make brand new plants from just the pieces you cut off when pruning them. All that’s required is that the cutting has a leaf bud, and some stem where the roots will emerge. They don’t need special equipment, lights, or even rooting hormone. Succulents are so accommodating and low maintenance, they’ll even root from a leaf. 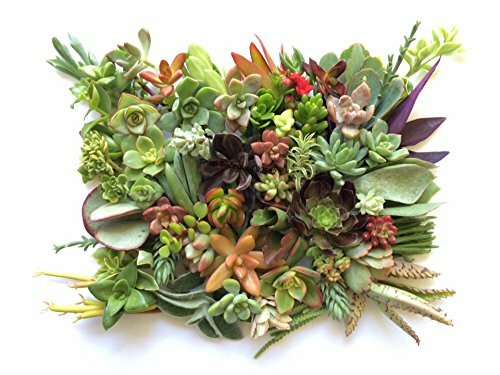 Often, leaves of succulent plants are so loosely attached that you’ll dislodge them with just a touch. They fall to the surface of the soil, and left undisturbed, grow roots. Even though it can take months, this is the most satisfying way to propagate succulents. 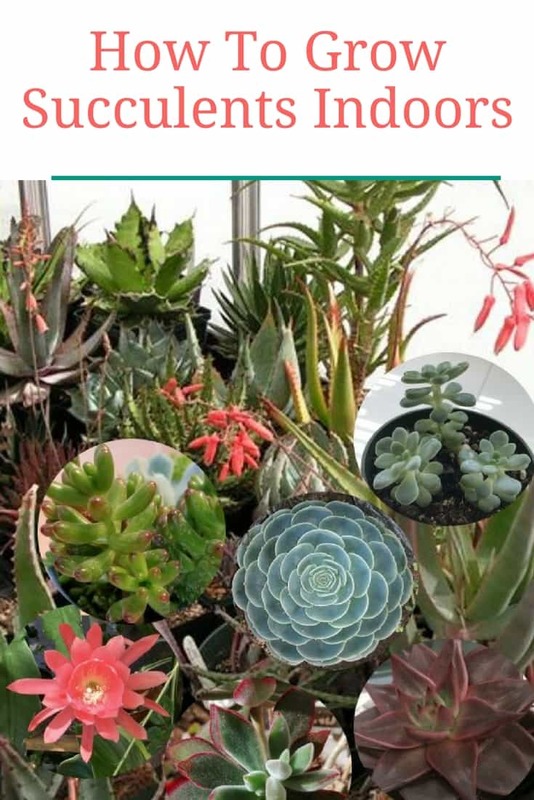 Some types of succulents have propagating from leaves that fall down to a fine art, and grow extensive colonies this way. Others have pups or offsets, sometimes called chicks. These are identical to the parent in shape, just a lot smaller. As soon as they get roots of their own, off they go. Some succulents like Echeveria and related types get tall and woody, with a rosette on top of a stalk. This is normal, as the leaves lower down on the stem tend to dry out and fall off. When your plant reaches this stage, behead it. Cut the top off, and set it down on some dry cactus type soil, and it will callous and grow roots. Almost magically, it will form a new, beautiful plant. If you get hooked on growing succulents, you may even want to grow them from seed. You can buy seeds online, or collect them off your own plants after they flower. Just give them enough time to ripen before you cut the flower stalk off, which you then put into a paper bag. The bag will collect the seeds, which are often like dust. Sprinkle them thinly on the top of some potting soil, and spray often with a spritz bottle. In time, you’ll see tiny green specks – these are plants! They take a long time to get to re-potting size, so be patient. Succulents have to have fast draining soil – not compost, or manure based potting soil. These hold too much moisture, a sure way to kill succulents. Soil made for cacti with a high percentage of pumice, lava rock, small gravel or sand drains fast. If all else fails, mix regular house plant potting soil half and half by volume with perlite, pumice or gravel. Succulents love mulch – as long as it’s some kind of pebbles, glass or other inorganic mulch. Don’t use bark, sawdust or something that will hold too much moisture. Watering succulents is another important factor in their health – maybe even more than light levels. They should almost completely dry out between waterings – don’t keep them damp. Then, water them thoroughly so the water runs out of the bottom of the pot. They may only need this once a month, or even less in the winter, depending on your climate. Tailor your watering regimen to the conditions, not the calendar. 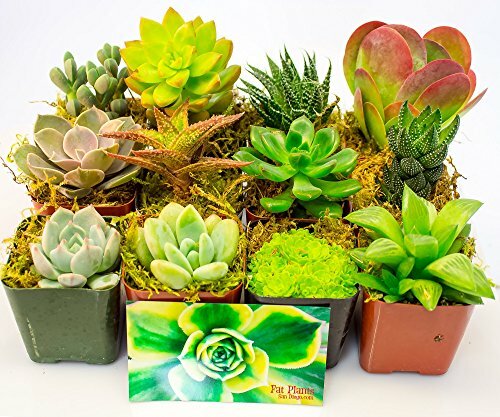 The best kind of water for succulent plants is not straight out of the tap. In many municipalities, water treatment consists of adding chlorine. This is not good for plants, indoors or out. Well water is cold, and sometimes has minerals that change the pH of the soil. Rain water is pure, without added chemicals. Collect it in buckets or rain barrels and store it in gallon jugs to use on your plants. Temper it, by leaving it to warm to room temperature before watering. 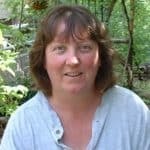 Jacki Cammidge is a Certified Horticulturist, and Webmaster of Drought Smart Plants.